I am a member of the Mom It Forward blogger network. 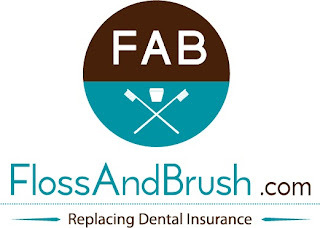 I was provided a product from Floss and Brush.com for my participation in this campaign, however, all opinions are 100% my own. He is cute, funny, loveable and holds my heart in his little hand. Now let's talk teeth! How important is good dental health to you and your family? Over here, its a top priority. Teeth are flossed and brushed twice daily! Most of the time, against their own will, but it is done. Toothbrushes are replaced every three months and every 6 months you can find us at our dentist's office. So yes I have appointments scheduled but it does become hard sometimes to remember when to change out the toothbrushes. Not anymore thanks to FlossAndBrush.com. FlossAndBrush.com is a company that makes it easy to always have new toothbrushes every three months. How? By paying just $1.00 per month, per person in your family, Floss and Brush.com will ship a a box of fresh, quality toothbrushes and floss to your home-one for each member of your family. FlossAndBrush.com's toothbrushes are top quality, age-specific and dentist approved. They have four convenient packages to choose from. Click here to check them out. The American Dental Association says that ultimate dental care begins with flossing your teeth daily and changing your toothbrush every three months. FlossAndBrush.com is the first system in the world that actually helps keep families accountable for daily flossing and changing their toothbrush every three months. More information can be found here. Currently, we are using FlossAndBrush toothbrushes and floss. The kids love the toothbrushes, not too hard, not too soft. I love the floss. No matter how much I use it, it does not shred and has a yummy minty taste. Each box contains 60 yards, perfect three month supply. To enter simply follow the instructions on the Rafflecopter. One entrant per household. US over 18 years old. Winner will be notified by email and will have 48 hours to respond. Otherwise prize will be forfeited. My kids make me smile. As well as ice cream, which probably isn't great for my teeth! I like the info about Floss and Brush sending you toothbrushes to your home for each family member. I'm constantly reminding my kids to change their toothbrushes, as I keep extras in the basement. This seems like a good thing to try with floss being included.